Have you heard? Old Deerfield Productions is moving to Greenfield and ready for a Brand New Name! They are having a launch party on June 20th at 9:00 PM at ArtsBlock in Greenfield. All seating is general admission, on a first-come, first-seated basis. We welcome and encourage you to bring a picnic! Tickets are available at the box office starting approximately 1 hour before each performance. Tickets are available online. For additional information, visit hampshireshakespeare.com, or send an email. 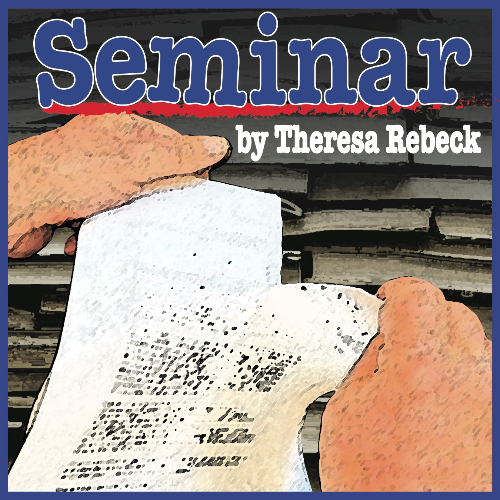 NCT opens its twenty-fifth season with a new comedy, by a Pulitzer Prize nominee, that critics hail as one of Rebeck’s best works with big laughs. Four young and aspiring novelists with high hopes for fame sign up for private writing lessons with Leonard – a best-selling author and international literary figure. His unorthodox instruction and shockingly honest assessment gives them the schooling of their lives. The New Yorker calls SEMINAR “Slick and satisfying.” We call SEMINAR the perfect opener in our 25th Anniversary season. 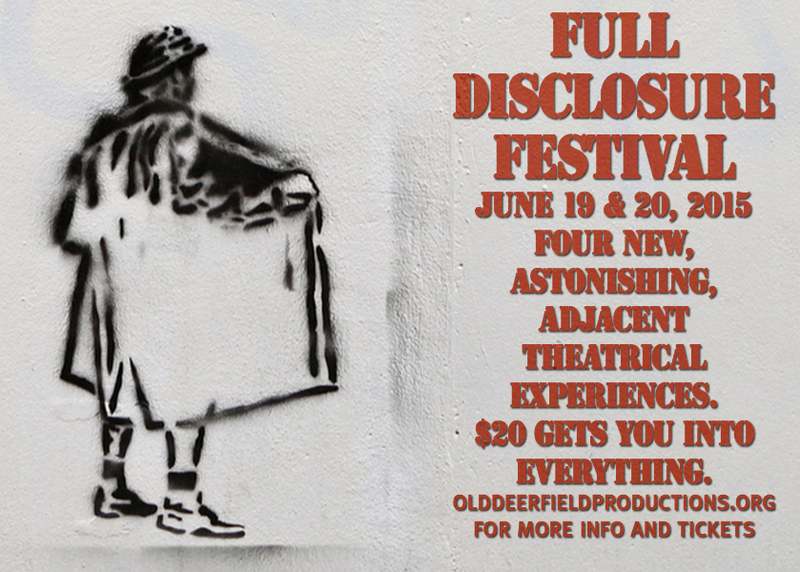 Different from the sister Double Take Fringe Festival, Full Disclosure is a festival of new theater pieces commissioned to share unique experiences with her audiences. Full Disclosure is four different offerings from four different artists: Lindel Hart, Amy Swisher, John Sheldon, and Joe Dulude II. Each show will run twice a night at 6 pm and 8 pm and audiences may choose to see one, or two each night, and all four if they come both nights. Each show runs between 60 and 90 minutes. Tickets also at Artsblock on the nights of the show. A single $20 ticket gets you into everything. Lindel Hart is creating a piece called, INTERVIEW that will take place at Greenfield Community Television at 393 Main Street. John Sheldon is doing a new piece about his life through music and Jules Verne’s JOURNEY TO THE CENTER OF THE EARTH at Artsblock on the corner of Main and Bank Row. Amy Swisher is doing an evening of participatory improvisation limited to sixteen people per show that will have sign ups in advance called STORYLINE at Community Yoga on 16 Federal Street. Joe Dulude II has written his very first play that will receive a production on the second floor of Hope and Olive called IN THE END that grapples with the LGBT experience of finding love and opening your heart. To participate in Amy Swisher's improv STORYLINE sign up with Linda at: lmciner@gmail.com after purchasing your ticket online. And following John Sheldon on Saturday night at Artsblock - ODP's new name launch party! At the end of June, lovers of light opera and ballet will have a rare opportunity to see two dazzling shows paired together in one performance. Pineapple Poll is a rollicking ballet (no singing) set to music from the Gilbert and Sullivan operas by the late Sir Charles Mackerras. Choreographed by Amherst Ballet Executive Director Sueann Townsend, Pineapple Poll is not unlike some well-known G&S operas: nautical, silly and full of surprises. It will be danced by the company of Amherst Ballet. Mackerras's arrangement of Sullivan's music is brilliant. Fans of the G&S operas will love spotting the tunes as they rush by (see link below for a list), yet people of all ages will enjoy this energetic and beguiling ballet, regardless of their familiarity with Gilbert and Sullivan. 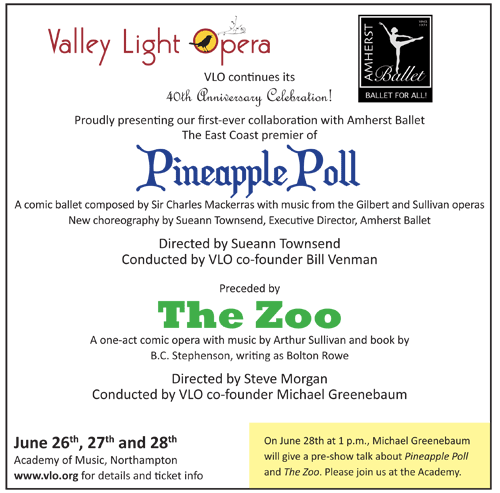 Pineapple Poll will be preceded on the program by The Zoo, a one-act comic opera (lots of singing here) featuring music by Arthur Sullivan and a whimsical libretto by B.C. Stephenson writing as Bolton Rowe. With this program, Valley Light Opera caps off celebrating 40 years of bringing high-quality light opera to Pioneer Valley communities. For an added treat, the two pieces will be conducted by two of VLO's founding fathers, Bill Venman and Michael Greenebaum. More information available on their website. The apprenticeship program at New Century Theatre is a part-time summer program for local high school students. High school students will have the opportunity to learn all about backstage work, from lighting and set painting, to props and costume building, running a show backstage and working front of house. Black Cat Theater - Auditions for HELLO, DOLLY! Any interested candidate between ages 13-17 years old must be accompanied by a parent/guardian. All applicants should bring with them a short biographical sketch and be prepared to perform a short musical piece. We will have a CD player and a cappella is also an option. All auditionees will learn a simple choreography movement so please dress prepared to move. Hello, Dolly! is scheduled to be produced at South Hadley High School in early November. Rehearsals are on Monday and Thursday evenings starting at 6pm. If unavailable to be seen in person please call 413-563-6023 or email blackcattheater@gmail.com. See the Facebook event here. Happier Valley Comedy presents Such a Character! Participants will receive a $6 OFF coupon for that night’s Happier Valley Comedy Show featuring The Ha-Ha’s and Friends. Come enjoy creating strong, believable characters. Using physical and vocal techniques and exercises, we will explore discovering characters on the spot that are unique and spring from a source of truth. You’ll leave with a bigger, stronger repertoire of the many shades of the characters eager to come out onstage. Christine Stevens is an educator, improviser, and actress with 30 years experience. She taught the Alexander Technique in the Brown University/Trinity Rep MFA Program for actors and directors for 15 years. She is a founding member of Hampshire Shakespeare Co and a founding associate of DramaWorks Interactive, a company that uses theater to help organizations overcome barriers to change. She is currently teaches improv-based theater at Greenfield Middle School. She is a happy member of The Ha-Ha's. To register or for more information, email Pam Victor at pamelaCvictor@gmail.com or online. 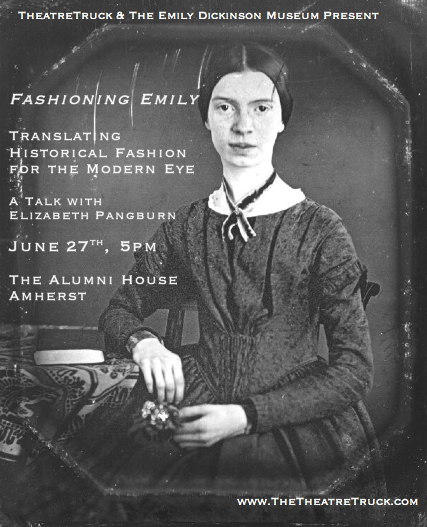 TheatreTruck Co-Founder and Costume Designer Elizabeth Pangburn offers a talk exploring the fashion and clothing of Emily Dickinson's Amherst through her lens as a designer, answering the question: "How to dress Emily?" Get an inside look into the research and creative work of The Emily Dickinson Project, a site-specific theatrical production taking place at the Homestead this July. After the talk the audience will have the unique opportunity to help choose a costume design for The Poet, one of the variations of Emily featured in The Emily Dickinson Project. Which version of The Poet will you choose? TheatreTruck will offer three costume renderings of this character and you can vote for your favorite. The rendering with the most votes will be the garment produced for this summer’s production! Proceeds from the event will directly benefit this summer's production of The Emily Dickinson Project, a co-production of TheatreTruck and The Emily Dickinson Museum.